As we like to say here at New Breed, “Your website should be your best salesperson”, so it’s really important that you have one that creates leads and increases sales. But without mindfully creating a site that will capture these leads and provide opportunities for customization, getting those leads to convert can be pretty difficult. In this post, we will discuss the different steps that we use to help you design a website that truly is your best salesperson. Before starting the design of your site, you first have to think about your ideal customer. You want to tailor your information to fit their wants and needs. Just like finding a target market, you’re going to want to define the different personas of the people who engage with your brand. This is important when considering content and design (for example, knowing what your calls to action should be). The end goal should be to create a clear path that your personas can follow and ultimately turn into leads. Keep in mind, site viewers are not Pokémon, you’re never going to catch them all, so realizing who your ideal personas are will help in deciding what should and should not be included on your site. Typically, starting with 3-5 well-defined personas will suffice. These are the viewers who will not only read your content, but who will also actively engage (sign up for/share your information). After determining your personas, organize and tag content with appropriate words and phrases so that it is relevant to each and they can filter to what is applicable to their needs. Some of the time, your different personas might share similar interests in content, so you will have the opportunity to potentially capture two types of leads with the same piece of content. Later on, the categorized content will be used in different ways depending on which persona is visiting your site. When thinking about customizing your interface (the design or look and feel of the site), imagine the setup that Netflix utilizes. Next time you log in to Netflix (or if you don’t have a Netflix account, Amazon is another good example), look to see where the recommended videos are, and notice that your recommendations are similar to videos you have watched in the past. Netflix (and sites like Netflix) uses information that their customers provide to call attention to more relevant content that they may enjoy. In much the same way, you can customize your calls to action and content for each separate persona. This dynamic experience is achieved by using platforms like HubSpot, which will keep track of user activity via cookies and use that information to make recommendations that relate to their actions. First, you will ask viewers to fill out a short form upon entry offering additional content as an enticement. Including form fields such as the viewer’s industry and title will provide a ton of valuable information to you. Viewers can choose not to fill it out, and that’s ok, but if they do, they will tell you more about their persona while gaining additional content that is valuable to them. From there, relevant navigation, information, and calls to action are pushed to the top, adapting to the viewer’s specific needs. When provided with an organized, relevant piece of content, that the viewer actually finds value in, they will be more likely to return to your site and seek out additional information. Which leads you into an engagement strategy, which will ultimately lead to them becoming a customer. Now that you’ve got your viewers hooked, you need to keep them engaged. One of the best ways of doing this is by providing high-quality content. The saying is true, “Quality over quantity,” and if your viewer is not finding the information that they need, they will look elsewhere. Promote your highest quality content, (eBooks, white papers, webinars, etc. ), so that they are visible and appealing to viewers. Use striking calls-to-actions that draw their attention to that part of the page and compel them to click. Use appropriate form fields on your landing pages so they’re not scared off when they want to download something. Make the content accessible, but still gated so that you have the opportunity to collect their information and place them into a lead nurturing program. Following this format, you are ensuring that quality information is placed on all pages, including your blog and social media pages. By integrating these steps into your website design process, you’ll help to ensure that your new website becomes your best salesperson. 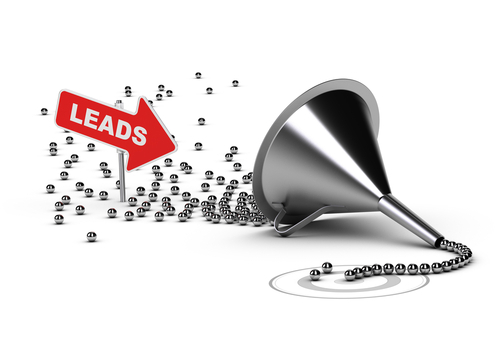 You’ll have a website that is generating leads and conversions for your business. In this ever-growing digital world, it is essential that you keep up with customer needs, and at the moment, buyers are looking for solutions that are quick, easy, and relevant. Greet them with a well-equipped and ready-to-sell website. Looking for some inspiration? Check out our marketing case studies where we've included a few of our redesign projects!